As most readers will know, I’m a big fan of historic boats of all kinds – everything from Thames sailing barges, through classic ‘gentleman’s yachts’ of the 1920s and 30s right through to Royal Navy warships. Given our island heritage and our dependence both on the sea and on our inland waterways, I think it’s really important to preserve as much of that history as we possibly can so that future generations can see for themselves how their ancestors dealt with life on the water. So I’m thrilled this week to learn that work on the restoration of the historic Massey Shaw fireboat is nearing completion. 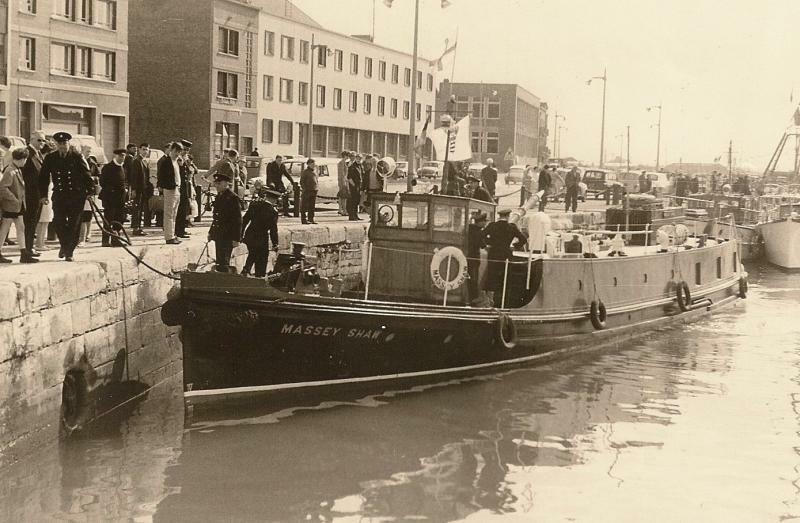 The Massey Shaw was built in 1935 at the yard of J Samuel White on the Isle of Wight. 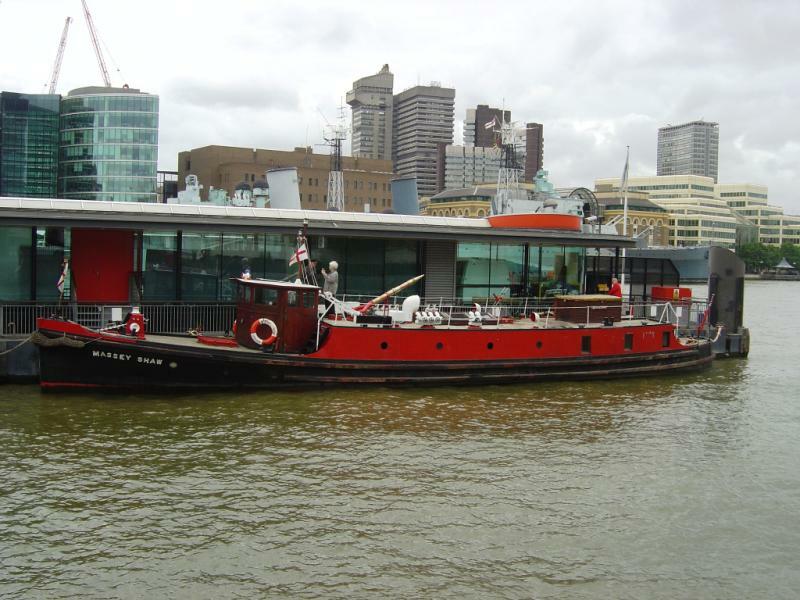 Her design was specified by the London County Council who wanted the fireboat to be able to travel under any of the bridges on the Thames and its tributaries in central London at any state of the tide. She cost £18,000 to build – a tidy sum in those days – and she was named after the first superintendent of the Metropolitan Fire Brigade, Captain Eyre Massey Shaw. The fireboat quickly proved its worth when it entered service with the brigade by helping to find a massive fire that had taken hold at Colonial Wharf at Wapping. Land-based crews were having trouble getting on top of the fire but the Massey Shaw managed to put up a huge wall of water that effectively created a firebreak to stop the blaze spreading and that enable the land-based crews eventually to quench the fire saving millions of tons worth of goods stored in adjoining warehouses. But the Massey Shaw really came to fame for her exploits in Operation Dynamo – the evacuation of allied troops from Dunkirk. She made three trips across the channel in all – no mean feat for a flat-bottomed riverboat – and rescued more than 500 servicemen. She was also involved in battling many of the fires that threatened London during the Blitz in 1940 and ‘41. 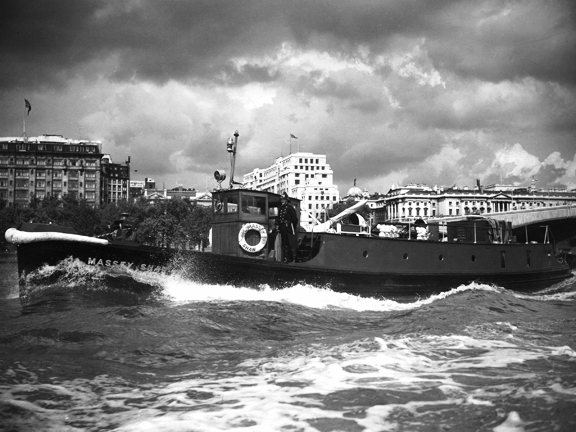 For many years after the war, the Massey Shaw was a regular sight on the Thames until she was decommissioned in the 1960s. After a long period of neglect, vandalism and a sinking, the vessel was eventually taken over by a group of enthusiasts who had campaigned tirelessly for her preservation and in 2009, the old girl was lifted out of the Thames and placed on the dock at South Dock Marina so that restoration work could begin. She was then moved by road to the shipyard of T Nielson in Gloucester were renovations continued. Her engines, meanwhile, were shipped to Kent were they have been completely rebuilt by the firm of Gardners. Originally it was hoped to have her back in working condition in time to take part in the Queen’s jubilee celebrations but repairs took longer than expected and instead, the trust that now owns her hopes to begin sea trials within the next month or so. Following those, it is hoped to find her a permanent mooring on the Thames from where she can offer trips on the river and become an education resource. I, for one, will be at the head of the queue when she opens to the public.